Now, I know traditionally a good cold coffee has ice cream and cream and all things fattening in it, but there is a way to get that thick creamy consistency without sipping on all those extra calories. Take your jar/cup and measure half a cup of milk in it. Transfer it in the mixer jar (Blenders won't be as effective. A traditional mixer works so much better). Throw in 2-3 cubes of ice. I take 1 and a 1/2 teaspoons of sugar and about 2 spoons of coffee powder (this depends on your personal preference, it can alter this quantity if you prefer it sweeter or stronger). Now blend! 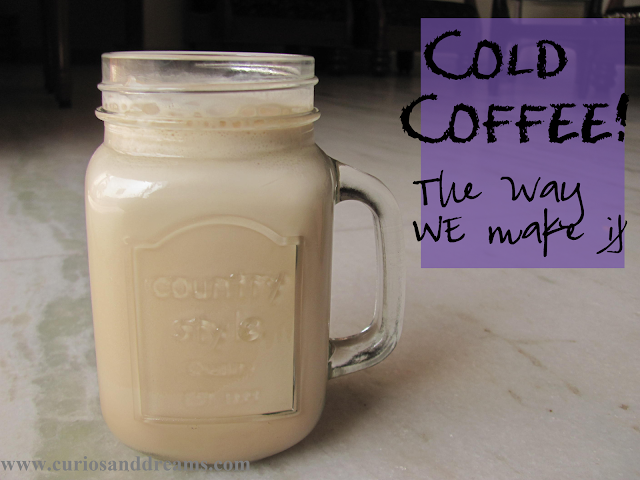 Blend for a while, until the ice cubes are completely dissolved. Blend away! If you have done it properly, you will find a while lot of beautiful thick froth on top and a nice thick consistency. Once done, transfer it in a cute jar and sip away! Optional : Decorate the sides of the jar with chocolate sauce to oomph it up. You can use instant coffee powder if you do not have access to brewed coffee decoction. P.S. I love the Bru instant coffee powder for my cold coffee somehow! Don't ask me why, but I find that it gives the best taste ever! We all know that if you achieve a good makeup base, more than half the battle is won. You can have the best of foundations, but without a good tool, it would never perform to its best abilities. Of course, there are some formulations that work best with fingers...but most formulations need a good tool. Gillette #SubscribetoSmooth Update : Week 4! So it's been the 4th week of me trying out the Gillette #SubscribetoSmooth challenge and by now I can safely say that I am almost a convert. To begin with I had given up waxing a long time back and was only using the epilator (more on that some other day), with on and off shaving (mainly for times when I was in a hurry). Summer is finally here, and with it we must change our makeup look too. One thing I like about summer is that all you need to do is keep your look light, fresha nd minimal. I being a big fan of that (light and minimal is my go to look most days) truly embrace the whole summer look concept. So, when Maybelline put together a sweet looking Summer Essentials Kit, naturally the makeup/beauty buff in me was super happy. The weather here in Bangalore has been so maddening for the last couple of months. I have never experienced so much heat in the city. The amazing Bangalore Rains aren't happening anymore and I feel like I am being roasted all the time! So naturally, I gravitated towards products that were cooling and soothing and well...in general, summery. (Psst...Nycil has been bought recently too for the "thanda thanda, cool cool" effect :DYeah, such is the heat!). Over the past few months I had been using the TBS Moisture White Shiso 2 in 1 eye cream, but it had started to feel a bit heavy now. In comes Forest Essentials Light Hydrating Hydra Eye Gel! 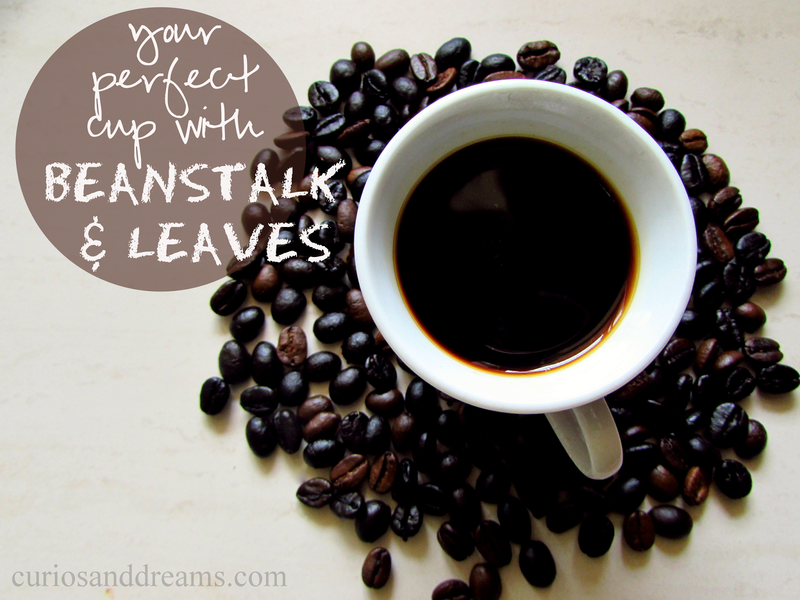 Find your "Perfect Cup of Coffee" with Beanstalk and Leaves! Being an adult is a great responsibility...but it comes with its own perks. One of them being Coffee! (let's not get into the others :P) Not that I couldn't have it as a kid, but there was always someone telling me not to. Not anymore. Most adults manage to get out of the bed in the morning everyday just for that cup of tea/coffee. And then there are some who love their cuppa in the afternoons, evenings or even before bed. Basically, just having some caffiene in the system that lets you go out there while you try & conquer the world! Me? I am coffee lover and it just doesn't end with a cup. It expands to coffee cupcakes, coffee ice cream. Anything Coffee. (Blaming my grandpa and dad for this crazy love!). And while instant coffee used to do its job decently in the growing up years, there is always something so heavenly, so sinfully good about that one cup of perfect freshly brewed coffee. It has the power to take you places. Seriously. For years, having a good cup of fresh brewed coffee meant going out to fancy coffee shops, and that required a bit of an effort. Now, what if I told you that you could have your perfect cuppa everyday, anytime you want, in the comfort of your own house?! Sounds too good to be true, doesn't it? That's exactly what Beanstalk and Leaves is about. Getting their love for coffee straight to YOU! I am a huge rosewater fan! It was and always will be one of my holy grail products and just works wonders. Don't you think so too? And I am a fan of all things natural. Rose water without a doubt is the best natural toner ever. Not to forget its various other uses...carry it around and spray it on a hot day to frehsen up. It helps hydrates the skin. You can use it to mix your homemade facemasks....wonderful thing Rose Water I tell you! For the longest time I was a fan of the Fab India Rose Facial Water, which still is one of the best, 100% natural, budget ones out there. I have gone through many bottles of that one. And then the beautyblogger in me wanted to try out the Kama Ayurveda Pure Rosewater (I am a Kama Ayurveda fan too you see..) and I have never looked back!